Real, honest-to-goodness scientific research isn’t reserved only for professors and Ph.D. students. Most universities offer plenty of opportunities for students to get involved, and participating in faculty-mentored research sets students up for success. It may sound intimidating at first, but as with most other parts of the college experience, enthusiastic, helpful guides are available to students who reach out and look for them. What’s the single most important thing to do? Ask. Academic and career advising offices are a good place to start. They can direct students toward useful services and help find opportunities that could be a good fit. Students should let their academic adviser know what interests them, and ask about elective courses and related opportunities. Some universities even have programs and advisers dedicated entirely to helping students get involved in research. At Washington State University, for instance, advisers and peer mentors in the Office of Undergraduate Research help students find opportunities and connect with faculty mentors. Don’t be afraid to approach professors directly. Professors are thrilled when motivated, curious students ask for advice and show interest in diving deeper. The McNair Scholars Program is another great resource to consider. Offered at universities across the U.S., it helps low-income, first-generation and underrepresented students find research mentors and prepare for future Ph.D. studies. 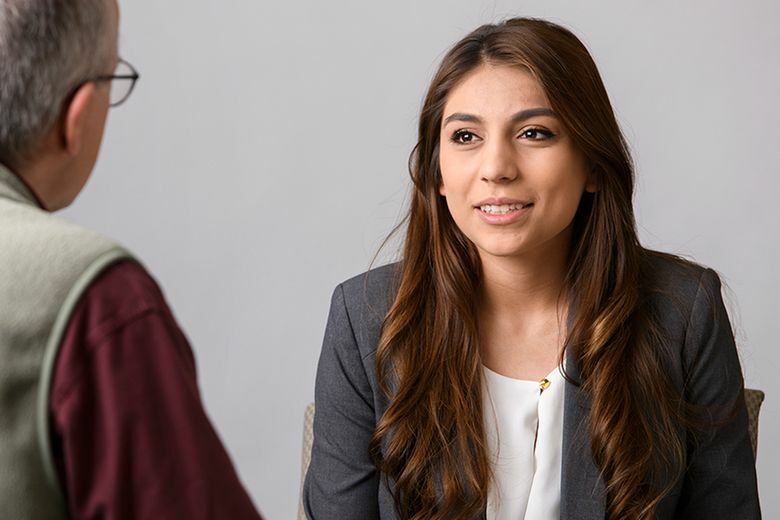 WSU senior Lysandra Perez has always been curious about how things work, especially when it comes to human behavior. As a first-generation college student coming from a family with strong Mexican heritage, she has effectively lived in two different cultures at the same time. As luck would have it, at about that same time a McNair Program representative visited one of Perez’s classes to give a presentation on how students could get involved in faculty-mentored research. She jumped at the chance. An adviser helped Perez get in touch with WSU sociology professor Monica Johnson, who became her mentor. Together, they developed a research plan and started her project. Over the next several months, Perez conducted interviews and analyzed data. When it was finished, she entered Washington State University’s showcase for undergraduate research—and won an award for her presentation. She and her mentor are now writing a paper to submit to a prestigious interdisciplinary research journal. She hopes to someday put her findings to use in programs that can help students from other, more collectivist cultures, succeed in the individualistic culture of colleges and workplaces in the U.S.
She also is preparing to apply for graduate school—and a professor at Purdue University who saw her work has invited her to join a research team there. For Perez, it’s one great option among many. Research experience isn’t reserved only for those who want to earn advanced degrees. It’s a powerful booster for any college student. It shows potential employers that a student has learned to exercise critical thinking; how to plan ahead and adjust when something doesn’t go according to plan; and how to gather data and reach solid conclusions based on evidence. It builds teamwork and leadership. It shows motivation and responsibility. Whether the goal is attending graduate school or jumping straight into the job market, faculty-mentored research is an experience that puts students a step ahead in the road toward their goals. Learn more about your opportunities at choose.wsu.edu.